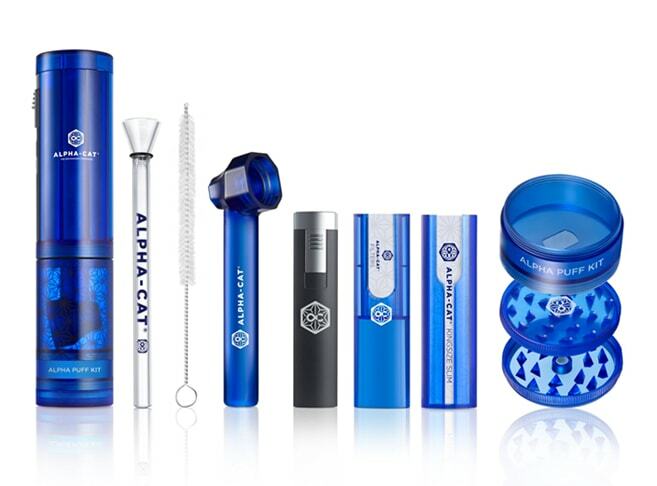 The Puff Kit from Alpha Cat is for the kind of person that likes to say “gimme the works!“. Cause this thing’s got it all. 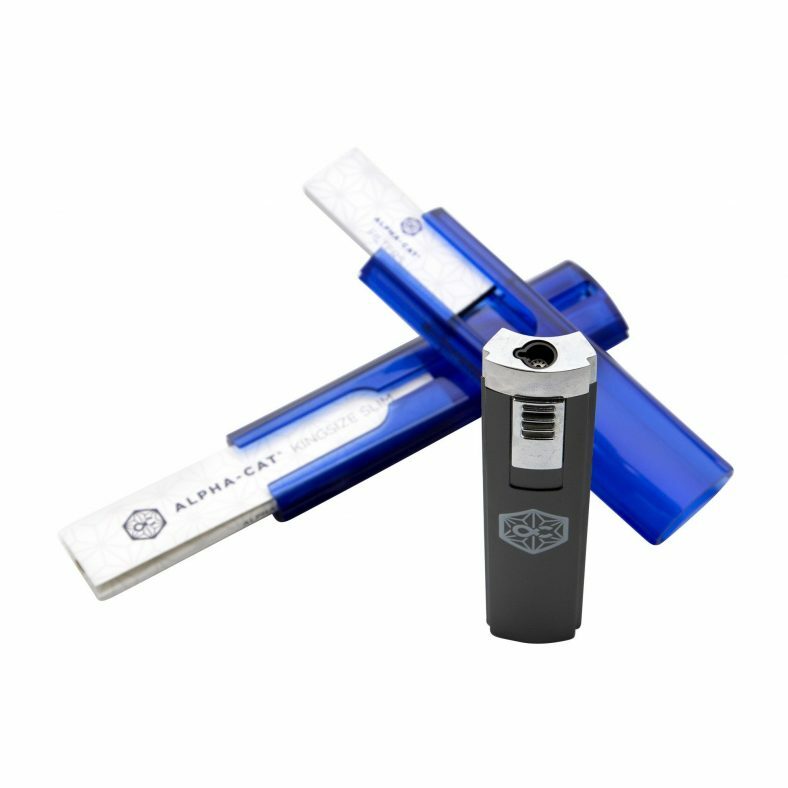 The all-in-one AlphaPuff Kit packs a whole bunch of features into a sleek package to make sure you’ve got everything you could possibly need for a wide variety of smoking situations. 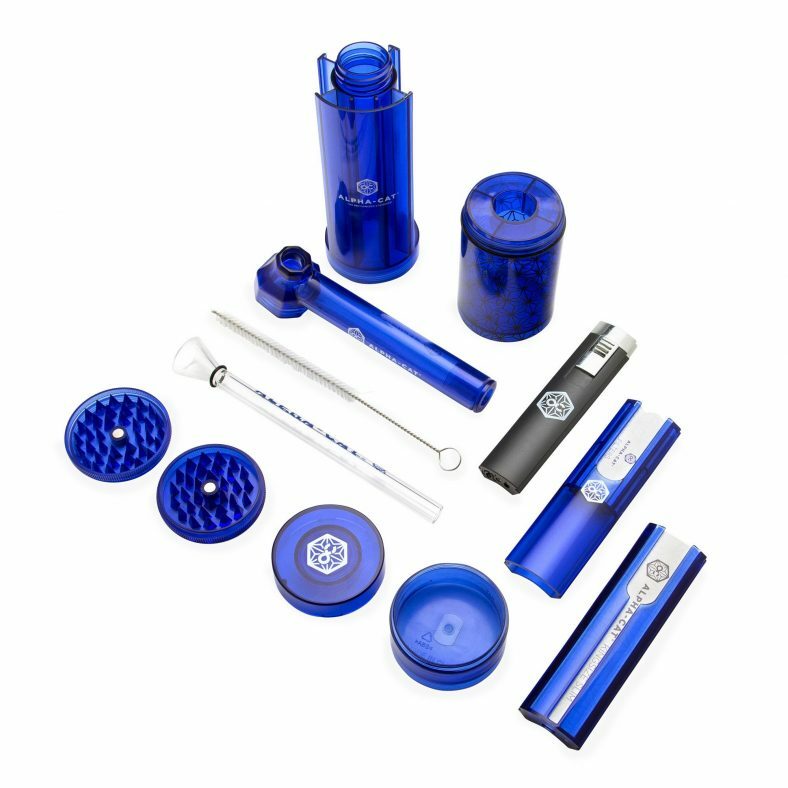 A grinder, a portable water pipe, storage compartments for cones, papers, filters and herb, a cleaning tool…and a torch lighter! It’s like the Swiss Army knife of weed. So much so that it’s now standard army issue in Switzerland*. 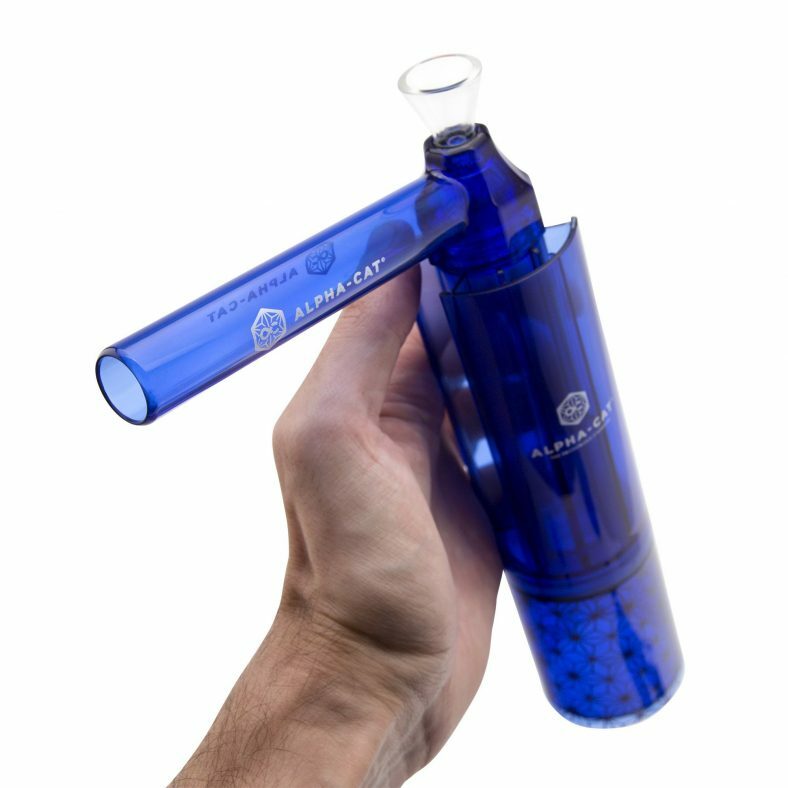 Pour some water in and attach the glass downstem and mouthpiece and you’ve transformed the AlphaPuff into a full-fledged bubbler! 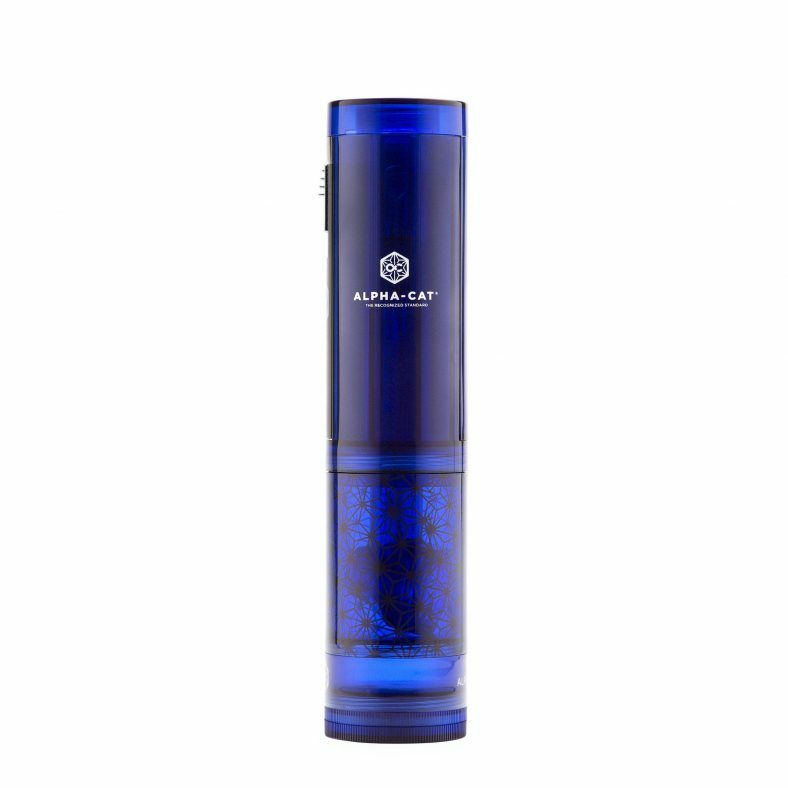 And its polycarbonate body breaks down for easy cleaning.